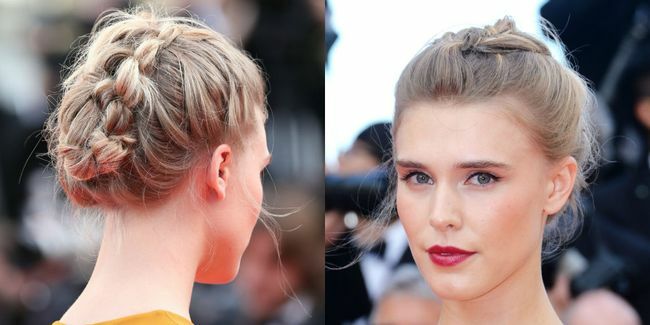 BRAIDED BUNS HAIRSTYLES FOR YOUR EVENTS! what did you do if you have an event? First thing is to choose a convenient dress, then choose the best haircut for your face, in my opinion, look at this post. You will find PERFECT BRAIDED BUNS HAIRSTYLES FOR YOUR EVENTS! This type of collection is a trend that is far from going out of fashion and that gives the hair the glamorous look that is perfect for a party or wedding. In these images, they are adorned with beautiful details like chains, but they can also be adorned with flowers or brooches with delicate and refined rhinestones. Hairstyles with braids are a classic in parties and weddings, as well as in everyday life, through casual fashion. They can go from the classic and simple, to designs so intricate, that it would be necessary to give a prize to the hairdresser who made it for such a work of art. Well, in this section we do not focus more on the seconds. The collections where the braids wrap around the head is another proposal that we can choose in 2019 if we want a modern and stylish look. You can drop some strands of hair on the face and neck. Or carry two French or woven braids. Another option is to braid the hair into several sections and then join all the braids in a bun. Or also make French braids on both sides of the head and join the two braids in a bun. 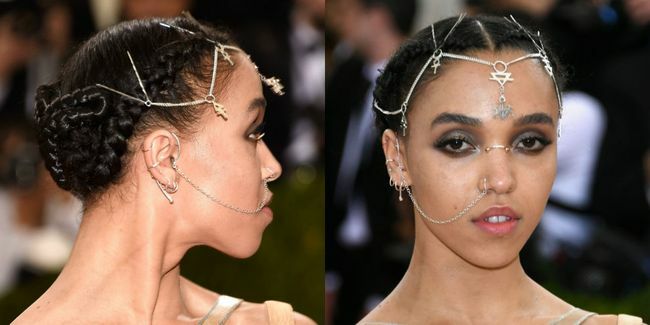 Sophisticated braids made on a long horse ponytail, with very tight hair on the top and placed on it as an accessory; is an original and modern proposal, ideal to make a difference in our looks, as it is a proposal that is not yet widespread. As you can see, braids allow us to be very creative.